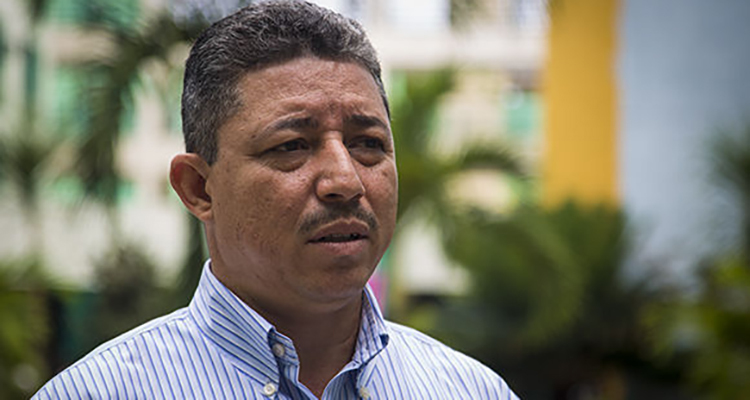 Leonel López, president for the Church of the Nazarene in Cuba and superintendent of the Cuba West District, shares an update following the 18 May plane crash. 25 May 2018, Havana, Cuba — Leonel López, president for the Church of the Nazarene in Cuba and superintendent of the Cuba West District, shared an update this week following the 18 May plane crash that claimed the lives of more than 100 people, including 10 Nazarene pastor couples. López was at the airport during the crash, which he initially thought involved a foreign aircraft. It wasn’t until later that he learned the plane in question was the aircraft carrying 10 pastor couples on their way home from a national conference. López shared that the relatives of the couples are “extremely grateful” for the help the global Church of the Nazarene has provided. He spends all day going from room to room at the hotel bringing words of encouragement to the relatives of the deceased. Leaders from other denominations are coming to support the local ministers’ families through prayer. The Church of the Nazarene in Cuba has been able to assist with transportation for relatives to get to Havana. The tragedy comes at a time of growth for the Church of the Nazarene in Cuba. At the end of 2017, Cuba had two Nazarene districts (West, East) and more than 100 churches. A process is underway to find leaders for the congregations now without a pastor. One of the churches appointed a temporary leader until a permanent pastor is named. Continued prayer is requested for the families of all affected, as well as the churches and national church.